Opis: The Massachusetts-based firm of Alvan Clark and Sons became famous for making telescope optics near the end of the last century. Near the end of this century, major astronomical observatories still boast of telescopes with lenses and mirrors made by them including Lowell Observatory's 24 inch diameter refractor, the United States Naval Observatory's 26 inch refractor, the McCormick Observatory's 26 inch, Lick Observatory's 36 inch, and Yerkes Observatory's 40 inch refractor - the largest refracting telescope in the world. Small observatories too can claim such a link to telescopic history and many offer the general public a chance to "look through a classic". 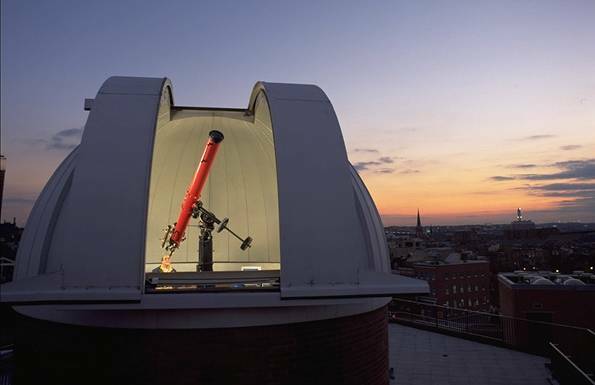 This gorgeous, completely refurbished 8 inch refractor was originally bought from Alvan Clark and Sons in 1927. 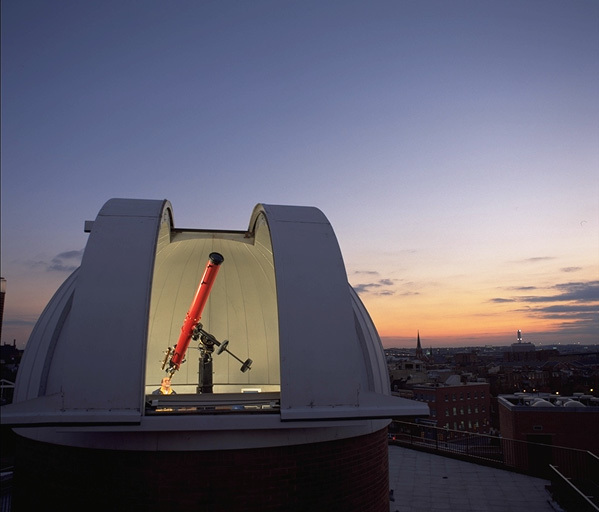 On Thursdays it stargazes from the Crosby Ramsey Memorial Observatory dome atop the Maryland Science Center near Baltimore's Inner Harbor.